Ever since the launch of the second gen in India in 2003, the CR-V has been the family crossover of choice for many. Over 17600 have been sold in India ever since, and the CR-V is the second best selling Honda worldwide with around 6.5 lakhs units sold every year. 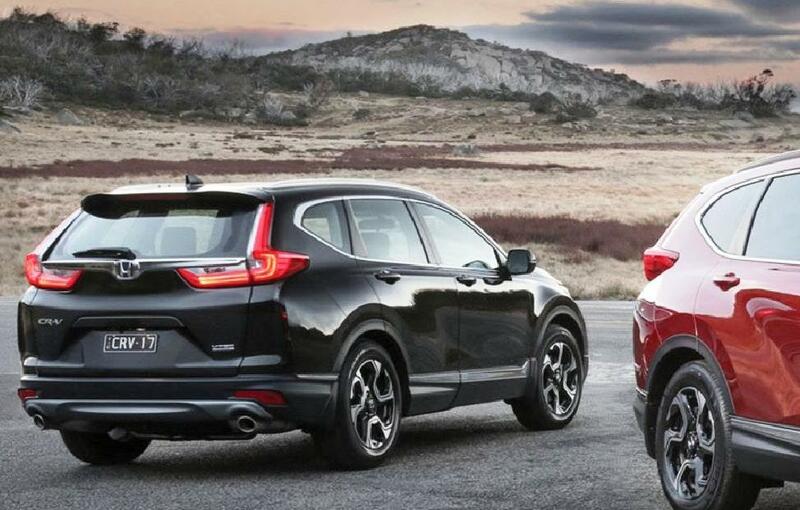 Every generation of the CR-V has always impressed with its comfort, ease of use, driver appeal and clever packaging. This new fifth gen CR-V is not different taking on the successful formula. This time, it comes with a diesel engine and a clever 9-speed automatic transmission. 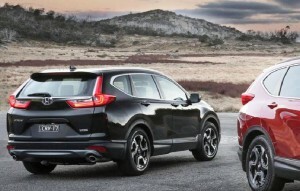 The CR-V is now larger than the one it replaces. It is bolder to look at, and has more visual drama in the form of flares and bulges. The front end features a sleek look with all LED headlamps and a chrome grille tying them together. The petrol variant gets a slightly different bumper with an L-shaped chrome element. The wheelbase is 40mm longer and the whole car feels one size larger than the outgoing model. The wheels are now 18 inches and their design, which has six spokes visually merging into three, might polarize opinion. The rear has classic CR-V style tail lamps straddling the rear windscreen with a more prominent L-shape that now goes all the way into the hatch. The CR-V continues with its practical cabin, but feels more upmarket this time around. The materials, dashboard and door pads feel like they belong to a car twice its price. The front seats are comfy and offer a high seating position with good all round visibility. The rear seats, though short on headroom, are comfortable enough for average sized adults. The last row requires quite some effort to get into, and is best suited for children. Only the diesel variant comes with a third row of seats. The boot is just 150 litres with all seats up, but grows to 472 and 936 litres with the second and third row folded respectively. 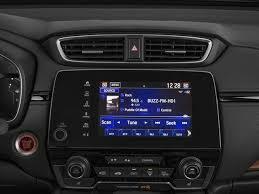 The CR-V gets full digital display for the instrument console. The touch screen on the centre console looks great too with an almost bezel less look. The diesel car also gets buttons for the gearshift which looks cool but takes some getting used to. The petrol CR-V gets a conventional gear selector. The car is loaded with features such as dual zone climate control, a panoramic sunroof, keyless entry, push button start, leather upholstery, an 8-way adjustable driver seat, automatic LED headlamps etc. It also scores on the safety front with the driver attention assist, the Honda Lane watch (which shows a camera view of the left hand side, every time you turn on the indicator), in addition to the full complement of ABS, ESP and six airbags. 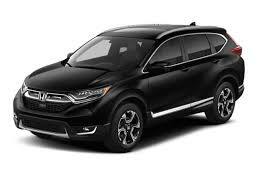 The CR-V gets a 2.0 litre petrol engine or a 1.6 litre diesel engine, both mated to automatic transmissions. While the petrol is a CVT, the diesel gets the new 9-speed torque convertor automatic from ZF, which soon will come in the Compass diesel AT too. The petrol variant has 154bhp and 189Nm, and feels effortless pottering around town. There is some of the CVT buzz when you accelerate hard and there are no paddleshifts this time around. The performance of the car feels adequate, and, unlike the diesel, which has an all-wheel drive option, the petrol CVT is front wheel drive only. The 1.6 litre diesel engine feels way more refined than the 1.5 litre we have seen in smaller Hondas. It isn’t the 160bhp, 350Nm, twin turbo variant sold abroad and gets a modest 120bhp and 300Nm. It feels smooth in its delivery and there is no lag whatsoever, helped of course by the torque convertor. The gearbox is quick to respond and ‘upshifts’ early and seamlessly. You wish the engine could do with a bit more power when you overtake but for regular driving, it doesn’t disappoint. The gearbox has very tall ratios upwards of fourth and gives the diesel CR-V, fantastic cruising ability. The CR-V has great highway manners too, with great high speed stability and a composed ride. The steering feels accurate and weighs up nicely. There is good amount of grip, but it isn’t as entertaining as the third gen car. The all-wheel drive variant can send up to 40 percent power to the rear, and sits 208mm high compared to the 198mm ground clearance of the front wheel drive one. The brakes are fantastic and confidence inspiring with good pedal feel and stopping power. The new CR-V improves upon all that we’ve liked about the model and rounds off the package with the long-overdue inclusion of a diesel engine and the added practicality of a third row. Sure, the diesel could have had a bit more power and the third row is for occasional use at best, but for the typical urban SUV buyer, the CR-V offers the right ingredients. The Price of the car has not been announced yet, but do expect the diesel to cost around 35 lakhs. The diesel is the pick of the range and, although it is expensive, the prospects of lower running costs, higher fuel efficiency and good resale value are hard to ignore. Oscars 2016; full list of winners…………..